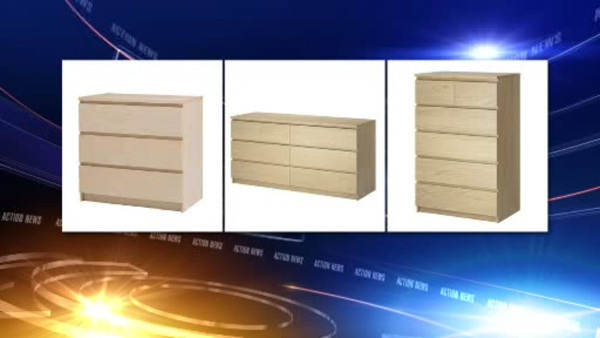 PHILADELPHIA, PA -- Store shelves at IKEA were prepped Monday night for the expected announcement Tuesday that more than 27 million dressers will be recalled due to concerns about their tip-over safety. The recall of the MALM chests follows the deaths of three toddlers in three years, including a 2-year-old boy, Curren Collas. He died in 2014 after an IKEA MALM 6 chest drawer tipped over and pinned him against his bed. In 2015, the Consumer Product Safety Commission announced the recall of the MALM chests, but customers at that time were asked to install a wall anchoring repair kit, and were told not to return the drawers. On Monday night, in a statement released to Action News, IKEA stated they distributed 300,000 of those repair kits. But said, "We are announcing this recall today given the recent tragic death of a third child. It is clear there are still unsecured products in customers' homes, and we believe taking further action is the right thing to do." The third child was a 22-month-old Minnesota boy who was crushed under a falling dresser. 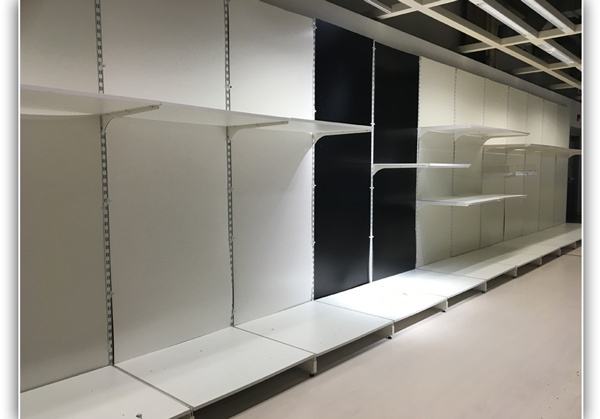 On our check, the MALM chests had been removed from in-store displays and at the Plymouth Meeting location's self-serve furniture warehouse. 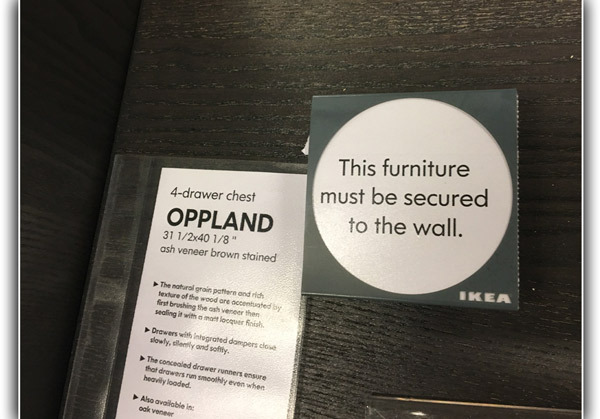 Notices were posted on other models, warning the furniture should be secured to the wall. IKEA is expected to offer customers full refunds in most cases, or a store credit for older products. The manufacturer says they plan to work with the Consumer Product Safety Commission on tip over protection and innovations to enhance product safety of all of their drawers and dressers. The Consumer Safety Product Commission has been working with IKEA to ensure the safety of the products. A full joint announcement is expected to be released tomorrow.